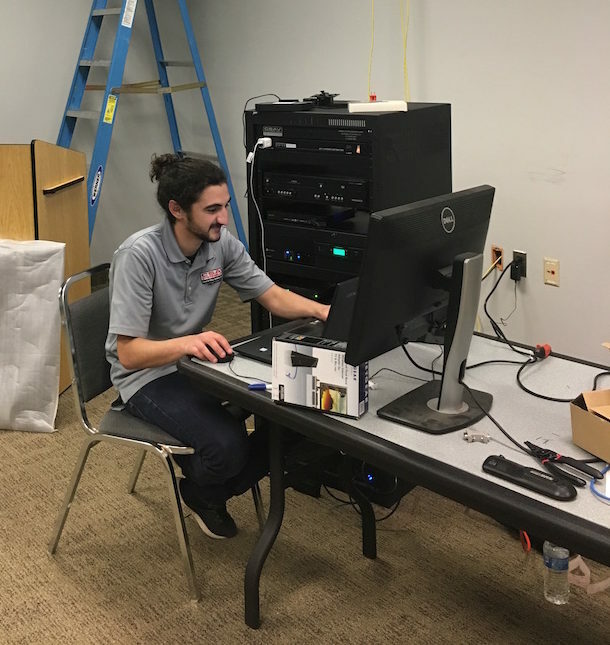 Lucas Dalakian led a team that solved a challenge in NJR’s corporate training room. 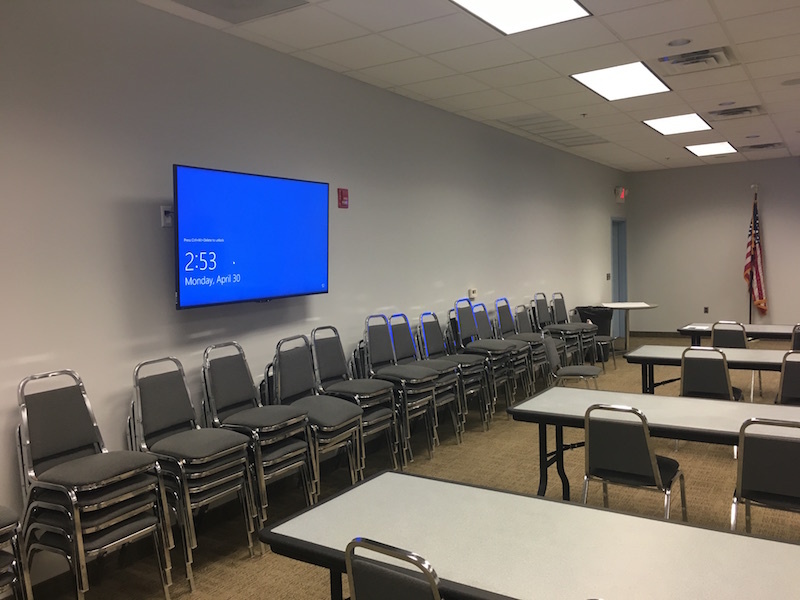 Recently CSAV completed an installation of screens and a control system for NJR Home Services in their corporate meeting and training room. NJR Home Services provides heating, air conditioning, and water heating service, sales, and installations to residential and commercial customers in New Jersey. They contacted CSAV because of their outstanding reputation with installing NJ corporate meeting room screens and control systems. Michael King, CSAV Technical Manager, and CSAV Technician Lucas Dalakian led the project. 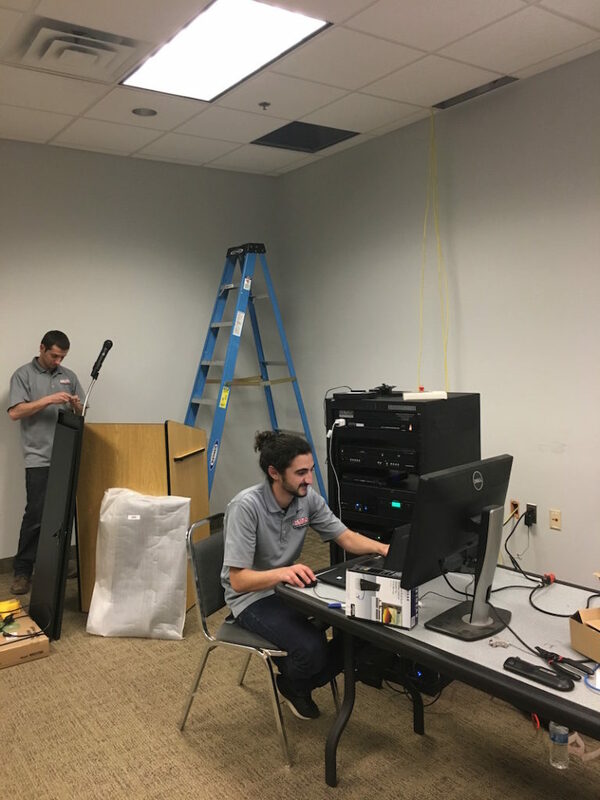 Their experience and know-how allowed them to recognize and craft a solution for a familiar corporate training room challenge: obstructed views of the presenter and presentation. 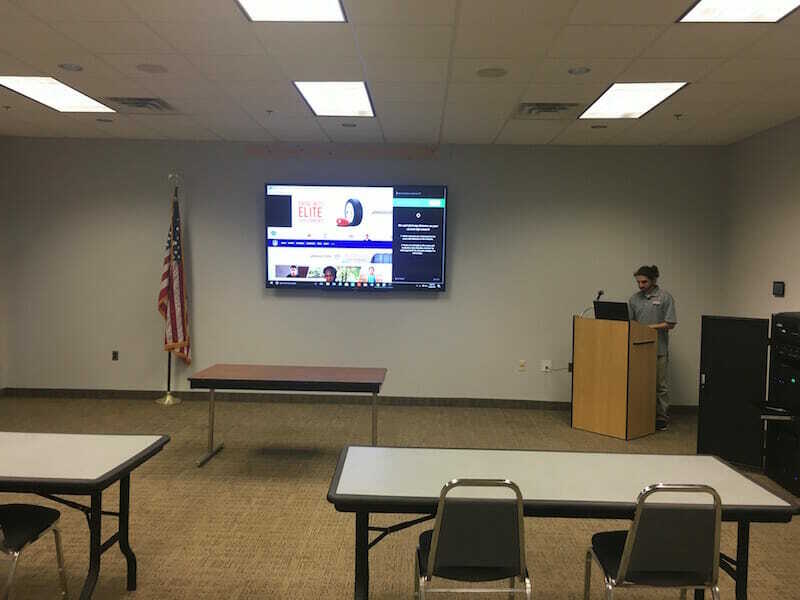 With a long and narrow training room that allows for a large audience, employees in the back of the room might incur obstructed views of the presentation at the front. Therefore, the CSAV team needed to engineer a design that would make the presentation accessible from anywhere in the room. NJR presented CSAV with a challenge that is quite common in corporate meeting rooms: prevent obstructed views of the presentation. In this case, the solution was to install an additional articulating screen midway through the room. This articulating screen would share the same presentation as the front screen and also be managed under the same control panel. CSAV designed the system to be versatile so that the staff can rearrange the tables and chairs in a variety of configurations. This allows NJR freedom and flexibility. The configuration does not lock them into a limited arrangement of furniture or their audience. The control panel is also a touch screen, so presenters and employees can also manage the system more conveniently. This user-friendly approach to the system was very attractive to NJR management. 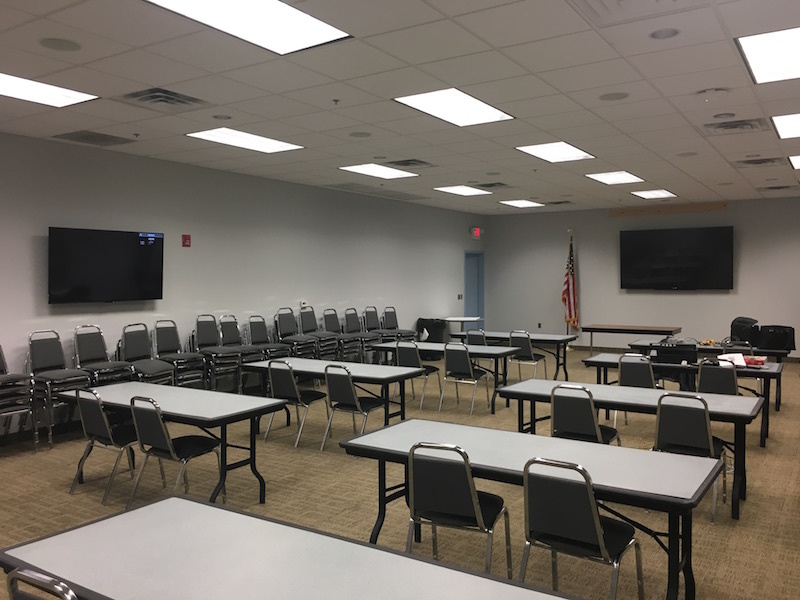 With a microphone sound system and Blu-Ray DVD player also installed, the presenter can rest assured they will be both seen and heard by their audience in the NJR Home Services Training Room. CSAV is a leader in approaching challenges across the entire spectrum of commercial sound and audio video systems. Have a concern about your audio or visual system? Want a second opinion? Contact us today. CSAV has the know-how and experience to design the right system for your most challenging environment.